SO MUCH MORE THAN THE “T” IN BLT. 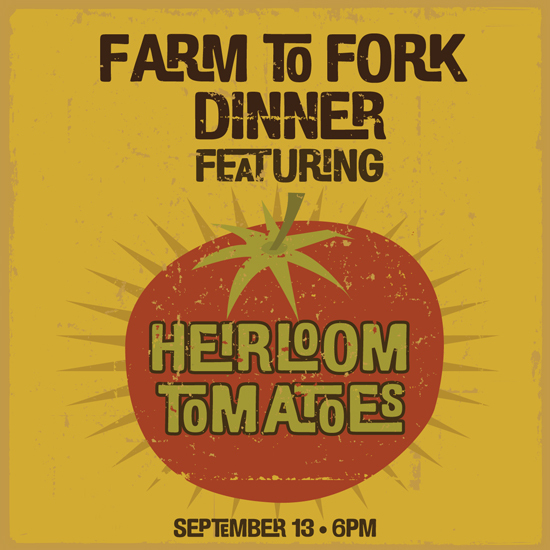 We get so excited about tomato season at Food Dance that we’re celebrating by having a five-course local tomato dinner. Seems a bit over the top? Not when you consider the beauty, flavors and versatility of the thousands of varieties of tomatoes. We promise, you will never think of them as just plain ol’ sliced fruit again. Just click to make event reservations.